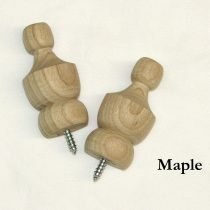 Handcrafted drapery bracket for 3/4″ to 1″ curtain rod made of poplar. Ready to be stained or painted. Sold individually. Handcrafted drapery bracket for 1-1/2″ to 1-3/4″ curtain rod. 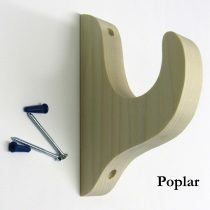 Available in poplar or maple and ready to be stained or painted. Sold individually. 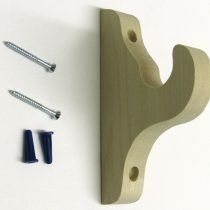 Handcrafted drapery bracket for up to a 2″ curtain rod. Available in poplar or maple and ready to be stained or painted. Sold individually. Handcrafted drapery bracket for 1-1/4″ to 1-1/2″ curtain rod made of poplar. Ready to be stained or painted. Sold individually. 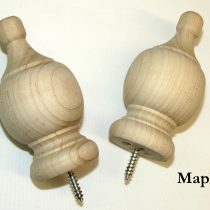 Unfinished hardwood finial to fit 1-1/4″ to 1-1/2″ rod or dowel. Sold by the pair. Hardwood can either be made of maple or red oak. 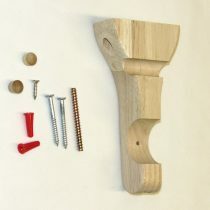 Unfinished hardwood finial to fit a 1″ and 1-1/4″ rod or dowel. Sold by the pair. Hardwood can either be made of maple or red oak. 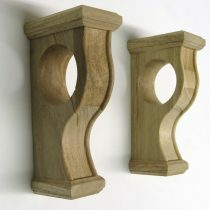 Unfinished hardwood wall sconce set sold by the pair. Sconce set can be used to hold a curtain rod measuring 1-3/8″ to 1-7/8″ in diameter. 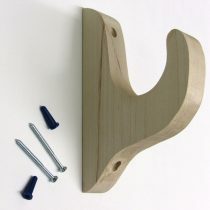 Sconce set can also be used to support a small shelf or simply as a decoration. Sold by the pair. Hardware included. 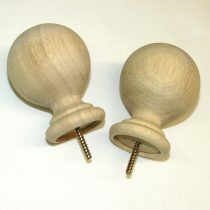 Unfinished round ball hardwood finial for 1-1/4″ round curtain rod. Measures 3-1/8″ long by 2-1/4″ wide. 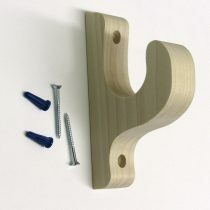 Unfinished center support bracket for dual curtain rods. Holds a curtain rod of 1/2″ and/or 1-1/4″ in diameter with a projection of 3″. 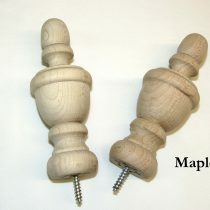 Unfinished hardwood finial to fit up to a 1″ rod or dowel. Sold by the pair. Hardwood can either be made of maple or red oak.